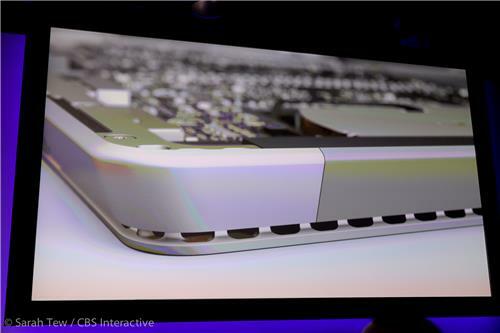 The Pro 3 still has the same basic vents around the edge, but they "re-invented the fan" to make it more efficient. "You never feel it, you never hear it, you don't even see it." So, it's not fanless, but since you don't feel/hear the fan, it's just like it was fanless. At least that's the claim. "It's great, it is amazing, but let's talk about the next step... At the end of the day every part had to come together perfectly to make this work. We call it Design to Fit." Then there's Machine to Fit. Of course, spinning a fan still eats battery power. 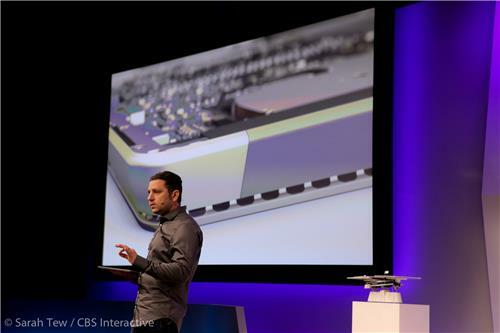 Every Surface Pro 3 is "custom machined" -- which is definitely going to make repairs a bit of a complicated thing. Or impossible, as it were. Basically, each body component is machined specifically to fit the other components on that device, not just pulled from a stack. This is similar to what Apple is doing on the iPhone 5 series. 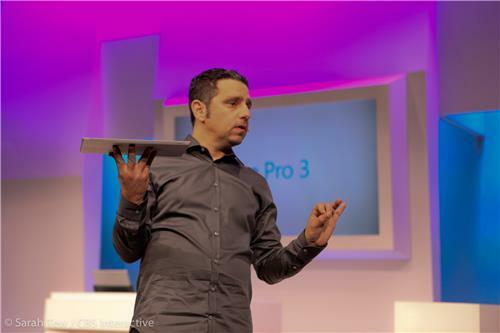 Panos just dropped the Pro 3 on the floor, saying it's as durable as before.